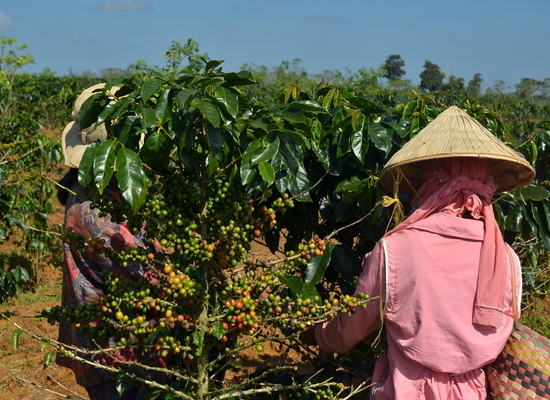 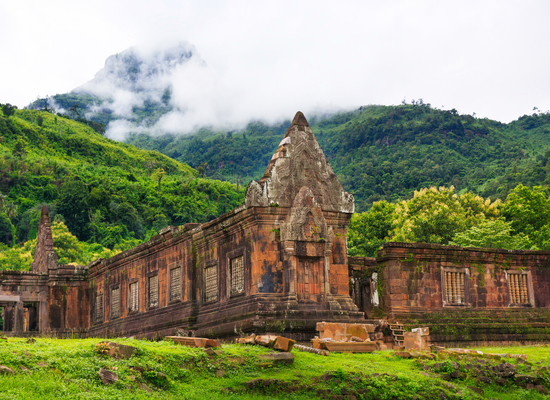 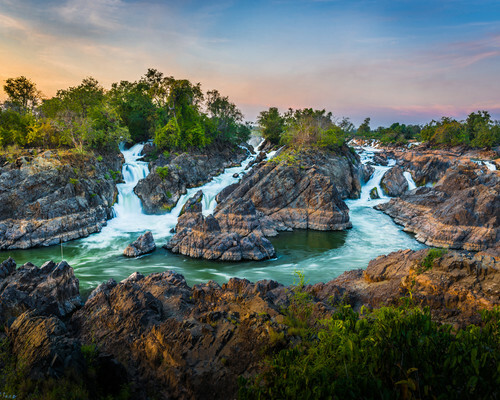 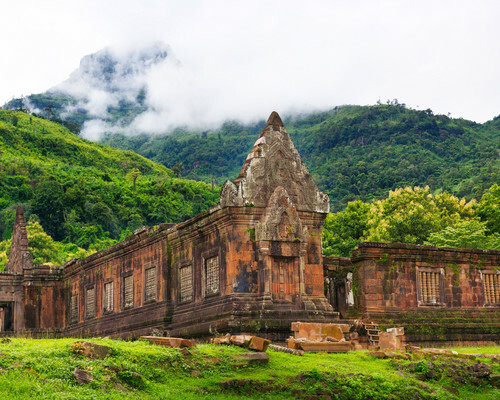 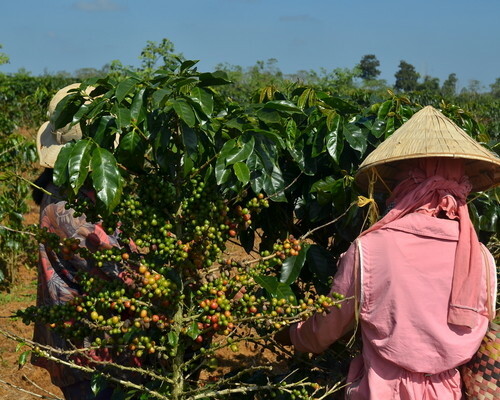 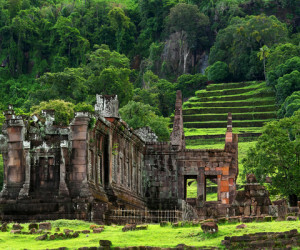 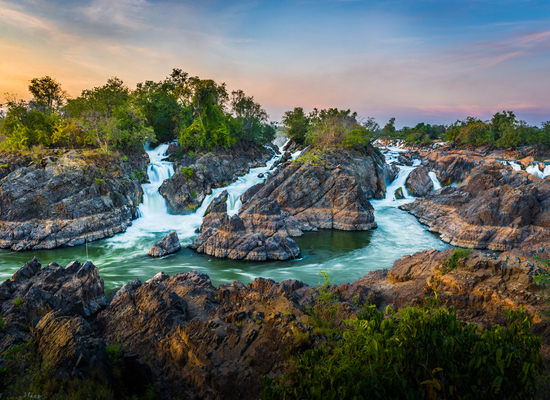 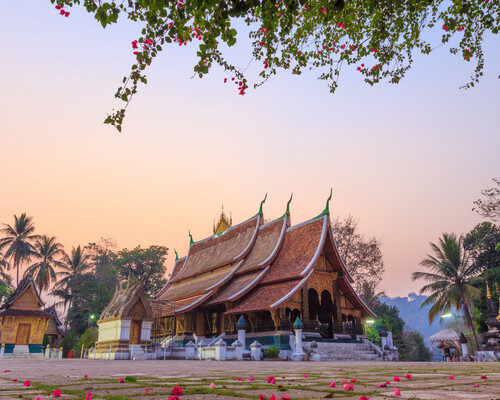 Maybe we’re biased but we think this Best of Laos tour might just be one of the greatest tours ever of this lovely country. 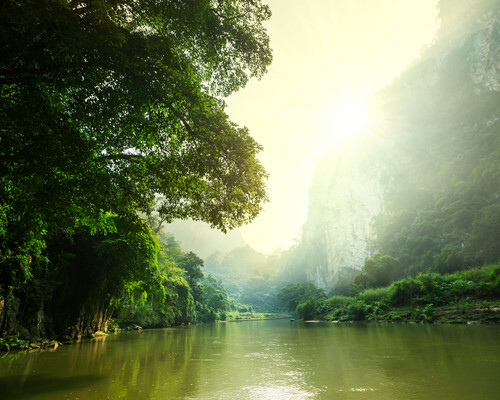 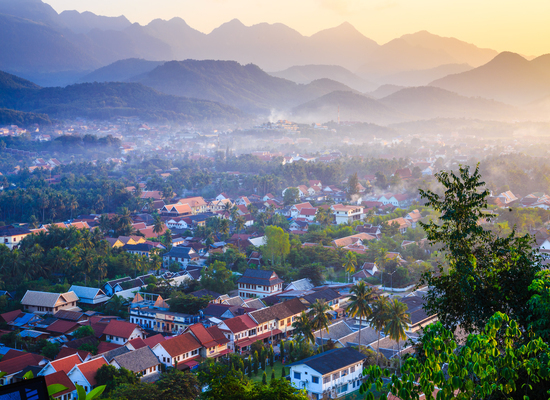 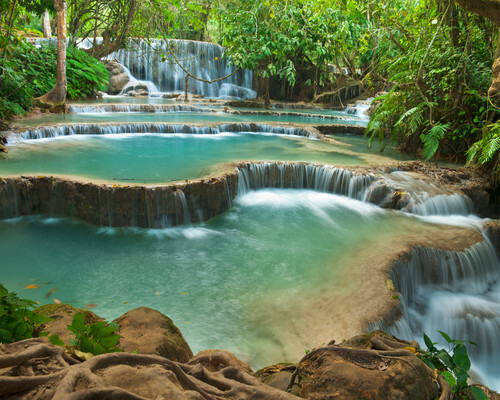 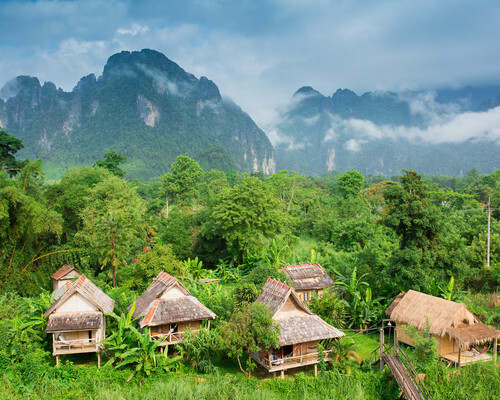 It starts in the beautiful UNESCO-protected town of Luang Prabang before continuing into the beautiful countryside of northern Laos – get off the beaten track with luxury at the end of each day in Muang La with riverside hot tubs in the evening! 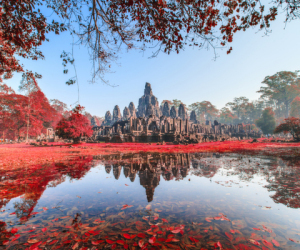 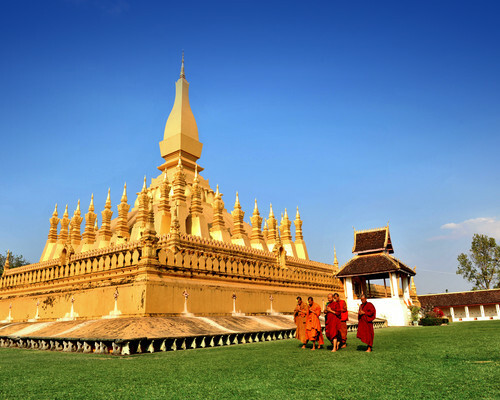 Afterwards, fly to the capital of Vientiane to see French inspired urban living before finishing your trip in the sleepy 4,000 Islands of the south. 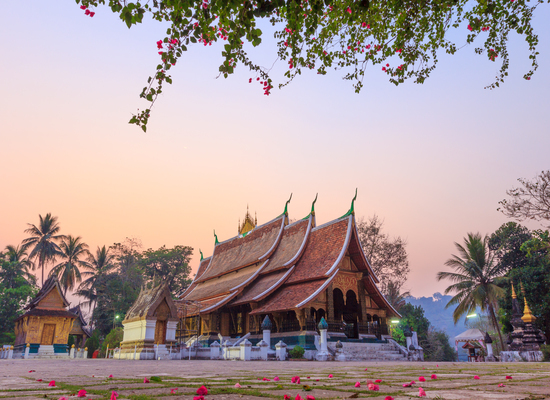 You will be met at Luang Prabang Airport by your private driver and English-speaking guide who will take you to one of our favourite hotels in this UNESCO protected town. 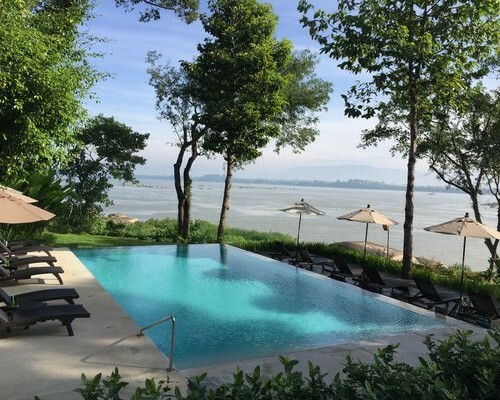 Maison Dalabua, with its beautiful huge lotus pond and pretty gardens, is a lovely place to relax, unwind and feel the stresses of life drop away. 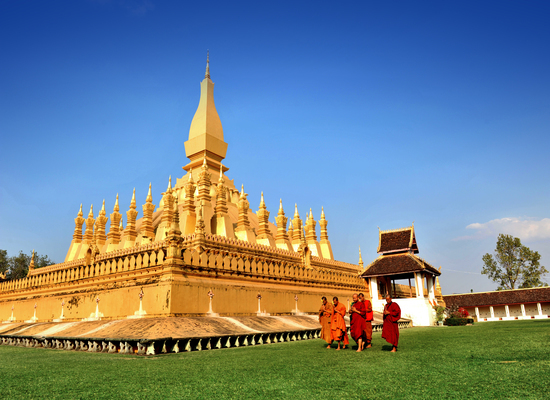 If you want to head into the centre it is a short tuk-tuk ride away – or 15 minute walk. 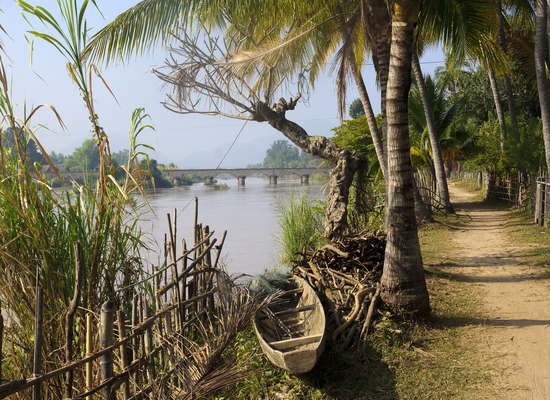 This morning we board our local private boat for an unforgettable cruise up the Nam Ou River to Muang Khua. 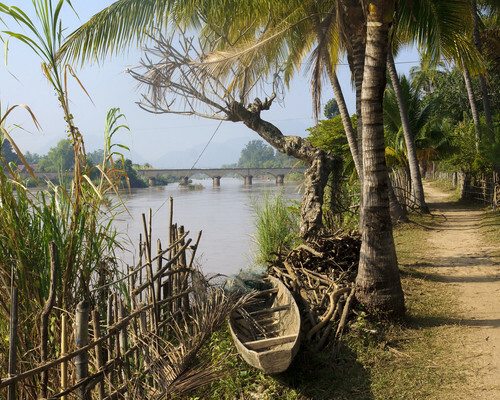 This particular stretch offers stunning scenery and remote villages that can only be accessed by boat. 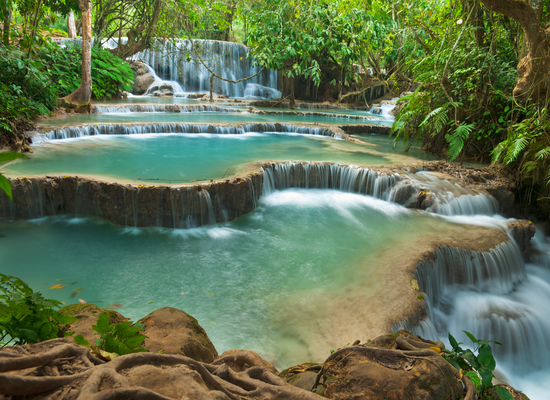 Upon reaching Muang Khua we drive to Muang La, famous for its natural hot springs. 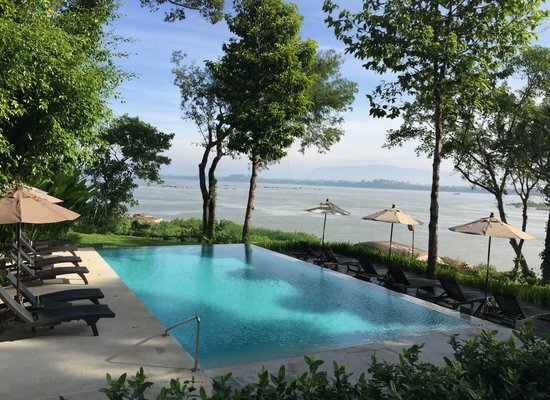 Here you can relax by taking a traditional massage, or enjoy a hot spring bath at one of our favourite resort’s in the country. Enjoy a relaxing morning in tranquil surroundings. 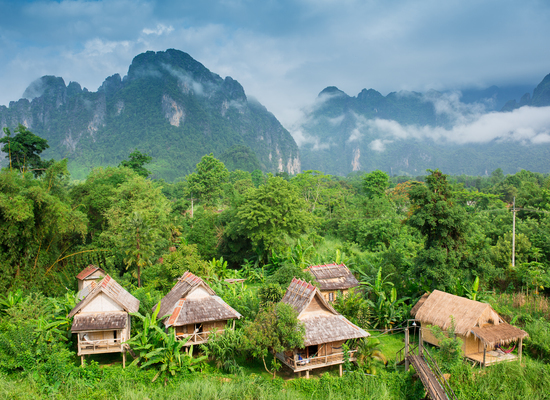 Perched on the riverside, Muang La is one of the most picturesque spots in Laos and we’ve planned nothing for the first part of the day so you can make the most of it. 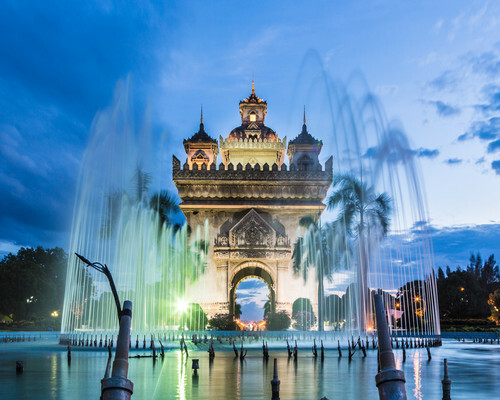 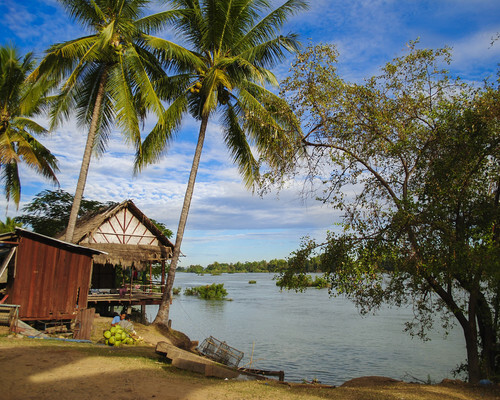 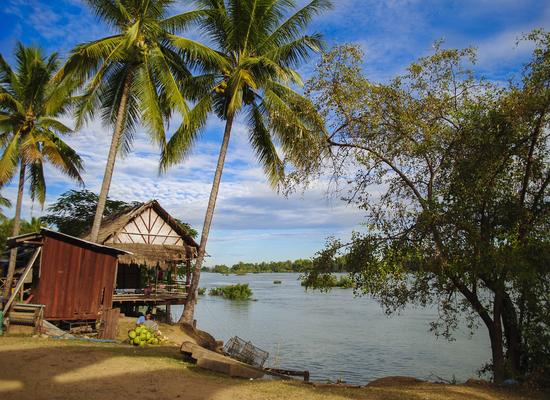 After lunch, we will fly you to Vientiane, the capital of Laos, where you will meet a new guide and driver and transferred to the Ansara Hotel, which is on a quiet road in this French-inspired city. 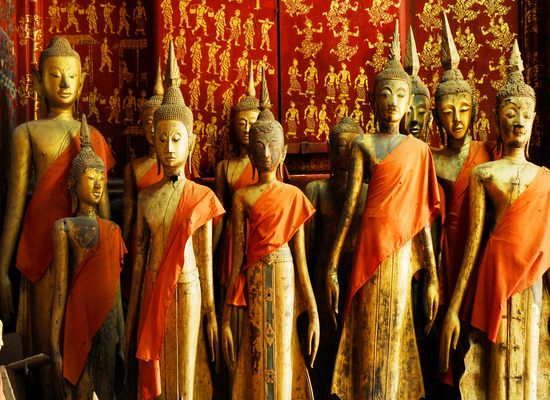 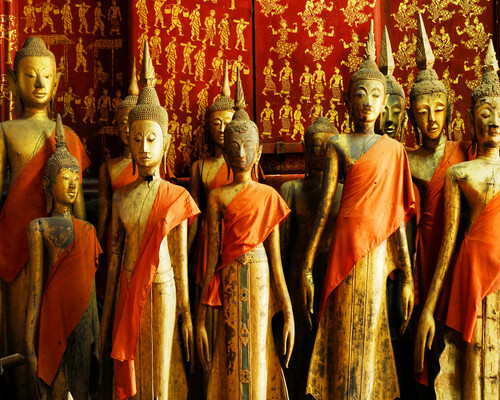 Today we will show you the cultural highlights of the city including Wat Sisaket with thousands of miniature Buddha statues, and the former royal temple of Wat Prakeo, which now serves as a museum of arts and antiques. 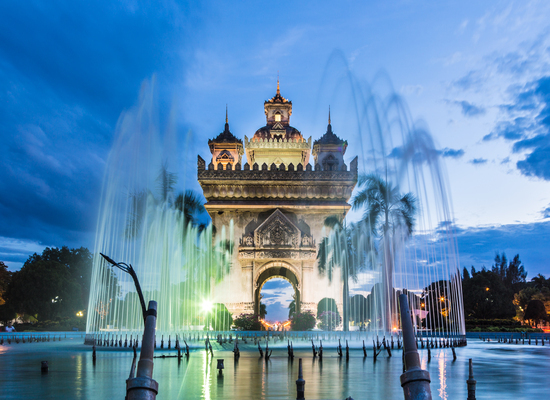 Admire the Patuxai Monument, which resembles its Parisian inspiration, the Arc de Triomphe and the golden stupa of That Luang. 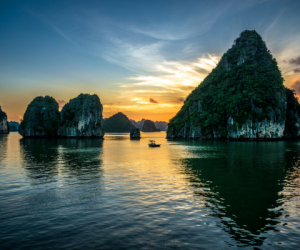 The final visit of the day will be the excellent COPE exhibition centre, which tells the plights of thousands affected by the bombs dropped in the Vietnam War. 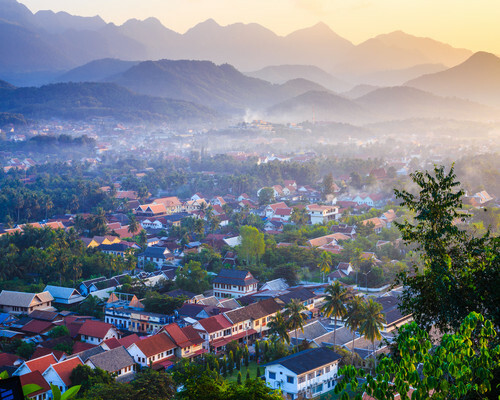 This itinerary costs from £2,695 per person B&B based on 2 sharing and including all private transfers but not international flights.